United Traction #463 on route 18 in February, 1972. Photograph taken by Joe Caronetti. 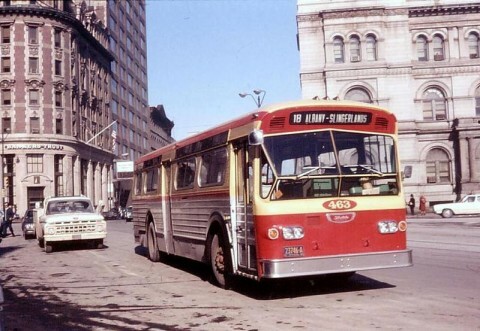 This bus was later sold by CDTA to the NYC DOT in the 1980s' and operated on Queens Transit and Queens Surface.